Potentials of the agro-industry towards nation’s development cannot be over-emphasized in any country, especially developing countries like Nigeria which is rated to be among the highest producers of many crops that could be processed into value-added products (VAPs) to enhance foreign earnings. Many advantages are observed to abound when effective policies are enacted and implemented in the agriculture sector towards realising potentials. nsely from the potentials inherent in the agro-food industry towards achieving food security if some perceived challenges confronting the sector are tackled headlong. While agro-food industry is an integral part of the economic growth of any country, various cash crops that are produced in different countries according to many could be major sources of growing the economy if properly managed. Experts say, a strong and efficient agricultural sector would enable a country to feed its growing population, generate employment, earn foreign exchange and provide raw materials for industries. The agricultural sector they add has a multiplier effect on any nation’s socio-economic and industrial fabric because of the multifunctional nature of agriculture. Many also believe that agriculture could be the mainstay of many economies and it is fundamental to the socio-economic development of a nation because it is a major element and factor in national development. Hence, the agro-food industry plays a fundamental role in the creation of income and employment opportunities in developing countries. 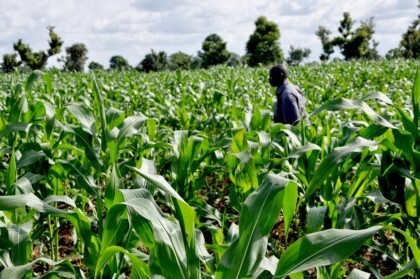 Analysts, therefore, explained that the potentials of agro-industry towards nation’s development cannot be over-emphasized in any country, especially in the developing countries like Nigeria which is among the highest producers of many crops that could be processed into value-added products to enhance foreign earnings. Judging from the foregoing, many advantages they say abound when effective policies are enacted and implemented in the agriculture sector towards realising potentials. However, it is noteworthy that policy formulations and implementation have remained a major problem in the development of the agro-food industry in the sub-Saharan African countries, including Nigeria. 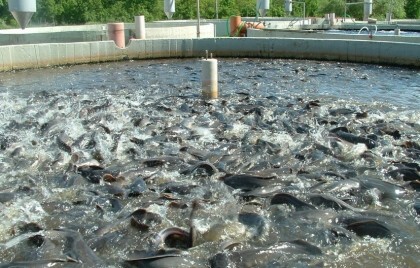 it is in the light of this that experts further believe that the required processing techniques to convert crops and tubers into value added products are usually hampered because of non-availability of necessary processing facilities, and when available the power required to run them is lacking or grossly insufficient. In order to maximally tap the potentials of agro-industry in sub-Saharan Africa, and Nigeria in particular, certain factors that could promote agricultural performance must be properly addressed. Study shows that some of these factors include access to inputs, high demand for products (i.e. market availability), availability of transport facilities as well as the availability of raw materials. Also, the need for collaborations between industry and research institutions must be encouraged in addition to the need for upgrading research facilities in research institutions through adequate funding by the government. The private sector must also contribute towards the provision of necessary facilities in these institutions as this may help in fostering research activities and improving performance in the agro-industry.